Hey everyone, I have another review on one of the new Wet N Wild Holiday 2013 collection and this one is in Drinking a Glass of Shine. 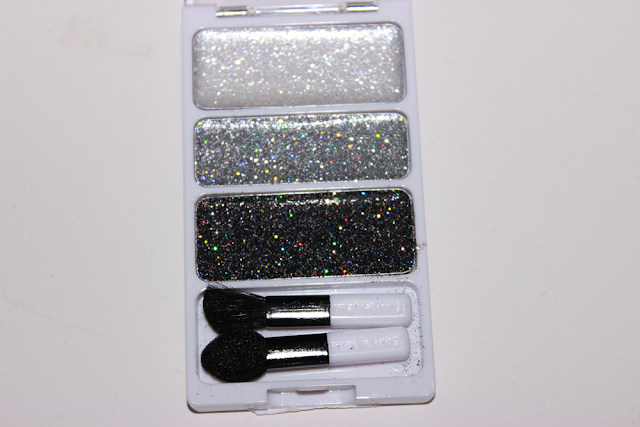 This one would be considered the "Smokey Eye" trio with the grey and the black. 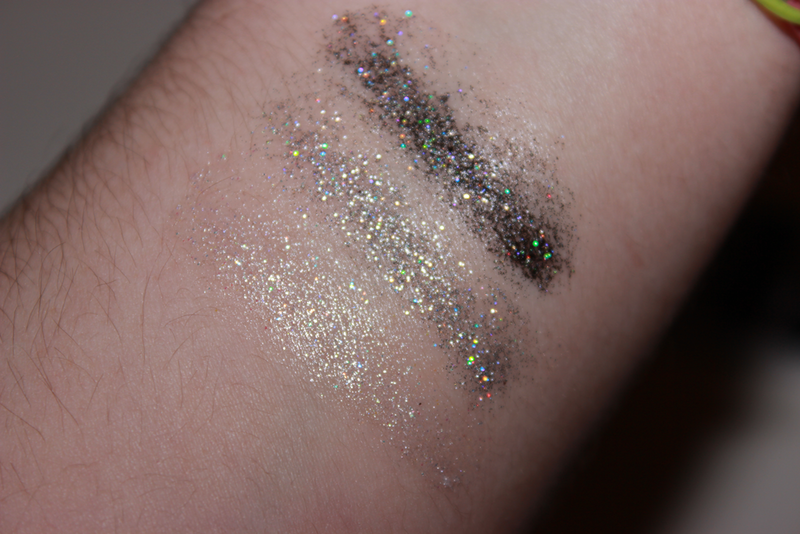 This one comes with a white glitter which shows up more like a clear shade with glitter, which I was hoping it would have been more white then clear. 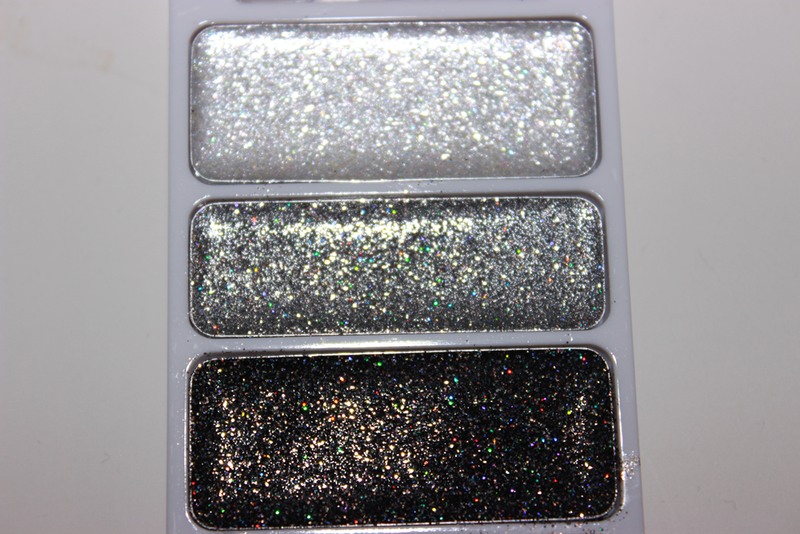 Then the middle shade is the grey with with a mixture of colorful glitter. I thought this one was extremely pretty, but it did lack the pigmentation, and it was also a pain to try and get the color to show. 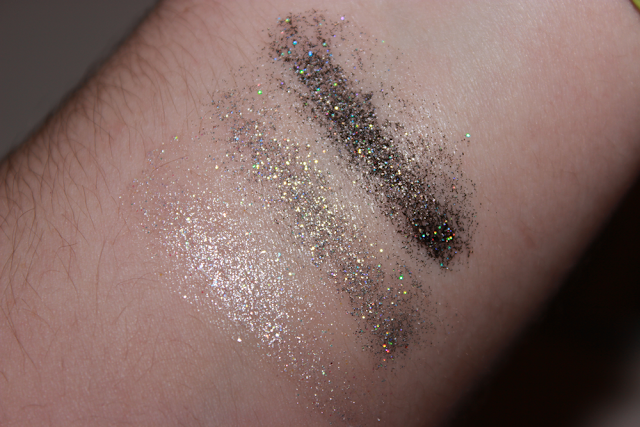 Then the bottom is a black with a mixture of different glitters. I love that the black did show up, but it wasn't as pigmented as I was hoping for. 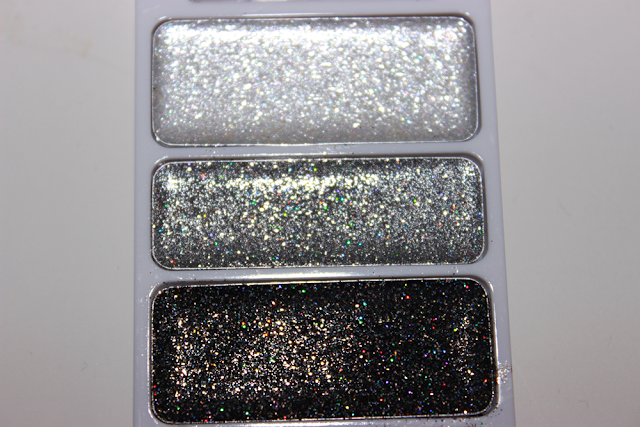 I didn't care for this trio like I did the others just for the fact there was lack of glitter, and with the black the texture wasn't as smooth as the others. Overall I would give this trio a D+.